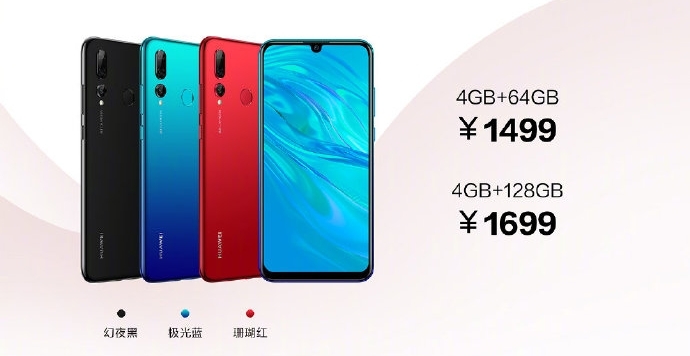 As announced, Huawei announced today in China the launch of the medium-size models Enjoy 9S and Enjoy 9e - giving of course their prices. Let's start with a cheaper model, i.e. Huawei Enjoy 9e. It is a phone equipped with a 6.1-inch HD+ display and an 8-core MediaTek Helio A22 processor. It has a battery with a capacity of 3020 mAh and two single cameras, with resolutions of 8 and 13 megapixels (f/2.0 and f/1.8). 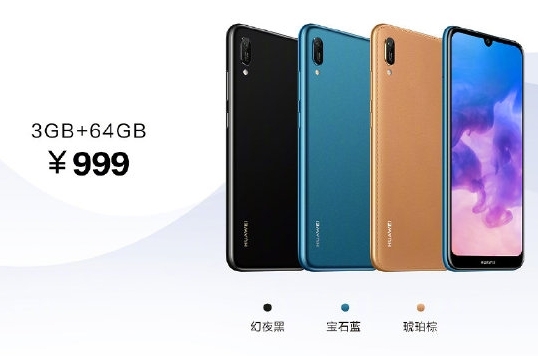 Huawei Enjoy 9e is offered with one version of memory - 3 GB RAM and 64 GB flash, at a price of 999 yuan, or 149 dollars. The second model, Huawei Enjoy 9S, is slightly more advanced. First of all, it has a triple camera, with 24, 16 and 2 Mpx matrices and a wide-angle lens with a 16 Mpx transducer. Huawei Enjoy 9S received a Full HD+ screen with a diagonal of 6.21 inches - with a droplet notch, concealing an 8-megapixel front camera. The heart of this model is the Kirin 710 octa-core processor supported by 4 GB of RAM, and the power supply is provided by a 3400 mAh battery. Here you can choose from two versions of internal memory - 64 or 128 GB. The prices are respectively 1499 and 1699 yuan, which gives 224 and 254 dollars. Source Huawei na Weibo; viewed: 274 times.